It's been quite quiet over here (have you noticed?) - February is always a bit of a slog and I'm in the midst of writing my next paper craft book (!!!) and trying to make big life decisions (ugh!) and, well, something had to give! Anyway, I have been playing around with this idea for an everyday card design featuring hot air balloons for awhile now. With a bit of spare time this morning, I gave it another whirl... and, to be honest, was a bit underwhelmed with my final result. I love the concept but because the surface of these particular kraft cards tears when you try to reposition the washi tape, I couldn't move anything around to achieve a final picture I was happy with. Serves me right for sticking everything down haphazardly before testing the surface - there's a lesson in there! I had planned putting together a full tutorial but since I wasn't totally happy with the final card, I was going to abandon this project altogether. But then I posted the images on Instagram with the tongue-in-cheek caption - DTBB (or Do This But Better) and the idea was more popular than I expected. So, since there was such a positive response over there, I'm sharing them with you here as a bit of inspiration! 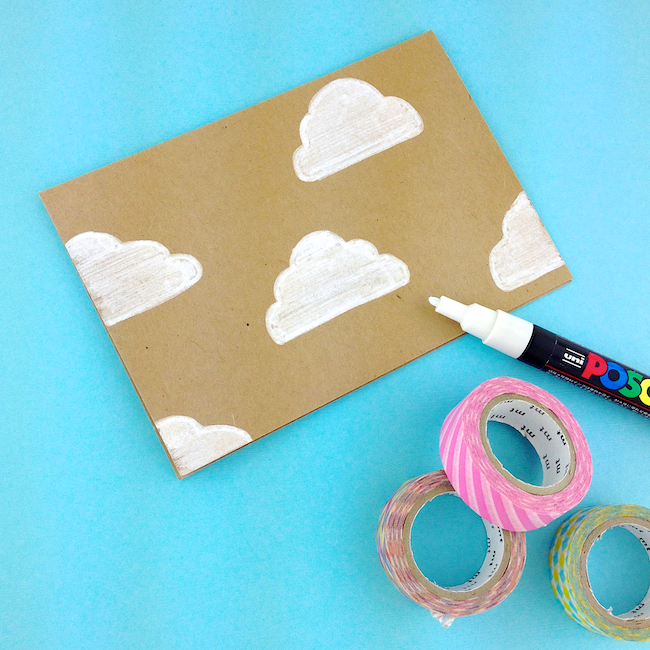 It's quite simple really - start by drawing a cloud pattern onto a blank card. I love (love love!) Posca paint markers! 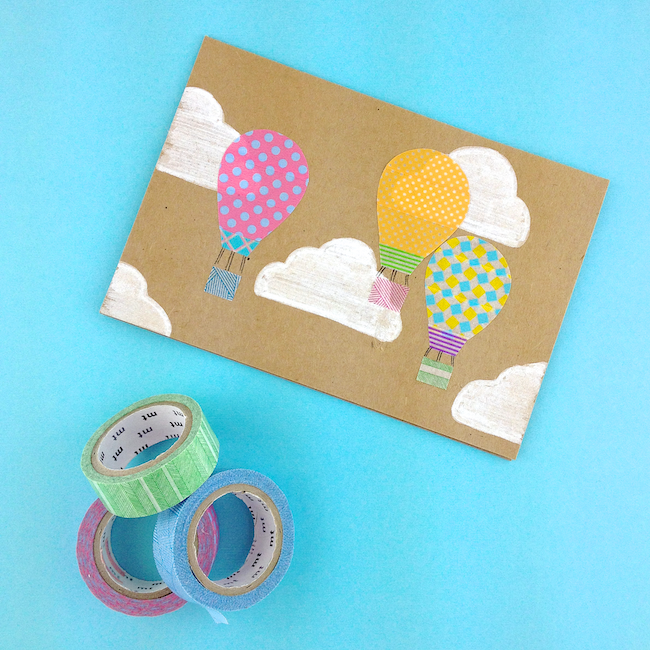 Then apply overlapping strips of tape to a piece of parchment/waxed paper and cut out your balloon shapes. Peel off the paper backing and stick to the card. Finally, add a basket and draw in any details you desire. If this project has piqued your interest, you can find lots more detail on creating multi-strip shapes out of washi tape in my book or dig into the blog DIY Project archives for tips.